Modern and stylish, this Artistic Weavers Campina area rug is a quality accent piece. Decor done right with this indoor piece, and its plush wool material. This rug is comfy, hand-made, and stylish. This blue rug has a fashionable geometric pattern to add some flair into your home. Include this Artistic Weavers Juma area rug in your hallway, dining room, or living room dicor for a taste of modern style. Keep it classy, quality, and stylish with this indoor/outdoor rug made from plush synthetic material. Keep this hand-made made rug in your home for a long time. This geometric patterned blue rug makes a contemporary mark on your home's interior design. Place this Artistic Weavers Middleton Mallie area rug in your dining room when you need a splash of style. Bring this high quality plush wool indoor rug into your home to upgrade your interior design immensely. High-quality and high fashion, this hand-made rug is perfect for you. Upgrade the dicor of your modern home with this oriental patterned blue rug. Campina Blue 5 ft. x 8 ft. Indoor Contemporary Rectangular Area Rug Modern and stylish, this Artistic Weavers Campina area rug is a quality accent piece. Decor done right with this indoor piece, and its plush wool material. This rug is comfy, hand-made, and stylish. 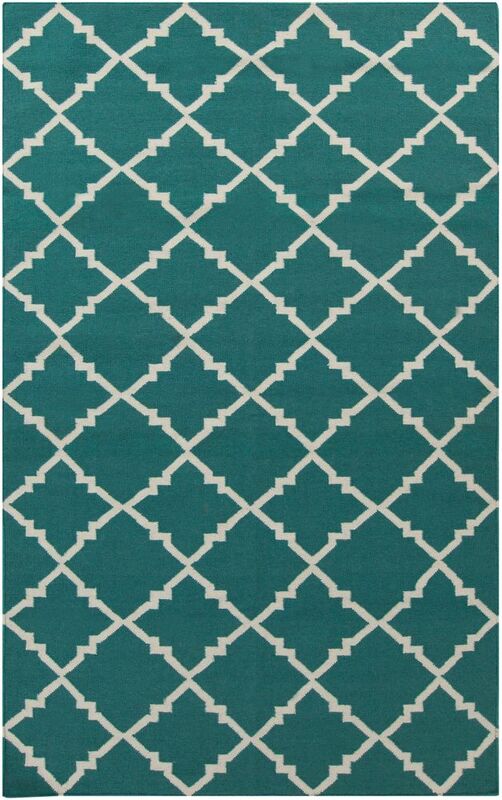 This blue rug has a fashionable geometric pattern to add some flair into your home.